About us - aikido-frankfurts Webseite! Ulli Kubetzek started Aikido training in 1987. In the eighties he was particularly influenced by Jean-Luc Subileau and in the nineties by Seishiro Endo Shihan. During this time Ulli has developed his friendship with Jan Nevelius Shihan, who since then has always been a source of inspiration for him. He feels especially connected to his students. Some of them have trained with him for over a decade, are teachers themselves and run their own dojos. In 1989, after having practised several martial arts, Brigitta Schultz not only found the appropriate environment with Aikido, but, most importantly, wonderful people, with whom she shared her personal expression in the Aikido in the following years. During many international seminars, she was supported by students of Seishiro Endo Shihan, along with her long-term teacher Ulli Kubetzek. She has been practising regularly with Jan Nevelius Shihan for many years. The focus of her Aikido is cooperation, contact and exchange. Kai Gellien started Aikido in 1984. After initially having been influenced by Jean-Luc Subileau and Jacques Bonemaison, in the early 2000s Jan Nevelius Shihan became a major influence. He is currently inspired by Takeshi Yamashima Shihan in particular. The mutual rejoice in the movement on an equal exchange is important to him. 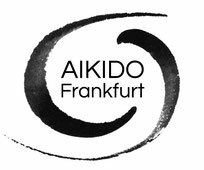 The dojo Aikido Frankfurt was founded in 1990 and does not belong to a fixed style. In fact this dojo rather unites Aikido styles of different movements and nations. Through contact oriented and respectful practice, we explore the essence of Aikido together. We consciously focus on "this way" and "another way" instead of "right" or "wrong" and develop by exchange and encounter. Therefore we are influenced by different personalities such as Seishiro Endo Shihan, 8th Dan from Saku (Japan), Jan Nevelius Shihan, 6th Dan from Stockholm (Sweden) and Jean-Luc Subileau, 7th Dan from Niort (France), who for decades have been supporting our dojo and teachers.